As prom season approaches, Reston Community Center is participating in its 16th annual Diva Central Dress Drive. Beginning today through Feb. 28, the center will collect gently-used formal wear, including dresses, shoes, jewelry, handbags, scarves, shawls and accessories, at its Hunters Woods and Lake Anne locations. RCC is accepting donations between 9 a.m. and 9 p.m. Mondays through Saturdays and from 9 a.m. to 8 p.m. on Sundays. All donations are tax-deductible. Donations should ideally be no older than five years old and dry cleaned before donation. If items cannot be dry cleaned, RCC staff should be notified during drop-off. At a giveaway on March 24, dresses will be given to Reston-area middle and high school students. This year’s event will take place from noon to 6 p.m. at RCC Lake Anne (1609-A Washington Plaza). Diva Central aims to promote self-confidence by providing dresses to students, including middle schoolers who participate in school dances. Eileen Boone, RCC’s leisure and learning director, said the drive will help alleviate the financial burden often experienced by local teens as they prepare for school dances. “We hope to lessen that financial burden by giving local teens the opportunity to create their entire prom or dance look for free,” she said. For more information or to volunteer, contact LaTanja Jones, RCC’s Collaboration and Outreach Director at 703-390-6158 or [email protected]gov. Prom season is quickly approaching, and for many, that means stress. There’s the stress of finding a date and the stress of planning for the big day, among others. But for some, the stress could be in figuring out how to afford one of the night’s most important features — the dress. 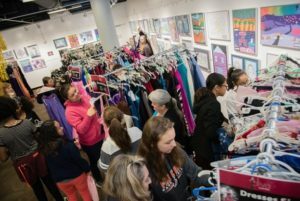 To help alleviate that for as many girls as possible, Reston Community Center is once again rolling out its Diva Central Dress Drive. Donations of dresses that are less than five years old can be made at Reston Community Center’s Hunters Woods or Lake Anne locations between Jan. 30 and Feb. 28. In addition to dresses, donations of prom accessories — including shoes, jewelry, handbags, scarves and shawls — will also be accepted. Donated items must be in good condition, and it is requested that dresses be dry-cleaned if possible. Reston Town Center will also accept donations in its building lobbies beginning next week. For more information about the drive, contact Ali Clements at [email protected] or 703-390-6177. Get ready for prom season — for free. Reston Community Center will host its 14th annual Diva Central Prom Dress Giveaway on Saturday, April 23 from 12 p.m. – 6 p.m. at RCC Lake Anne (1609-A Washington Plaza). RCC has been collecting gently used formal items from the community to stock for its annual shopping experience. Diva Central is open to any current high school student who is in need of a prom dress, shoes, jewelry and other accessories. Everything is FREE. Limit one dress per person. This year, with the help of Boston Properties and the generosity of the Reston community, Diva Central has collected several hundred dresses for the giveaway event. 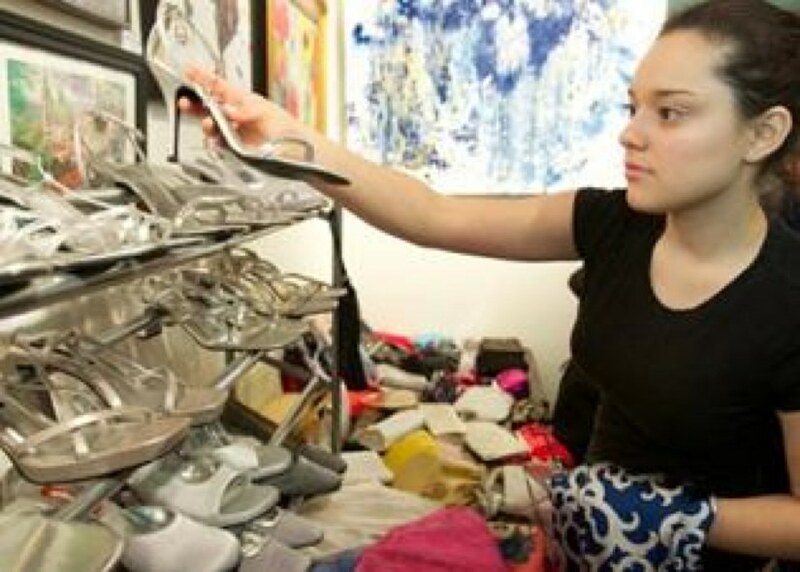 In addition to prom dresses in all colors, sizes and styles, volunteers will be on hand to help teens select shoes, jewelry, handbags and other accessories to complete their prom look. Are you cleaning out your closets this winter? Diva Central, the annual prom dress event at Reston Community Center, can use some of your most fabulous but no longer used items. RCC is collecting items at RCC Hunters Woods through March 6. The items will be available to high school students to shop for a free prom dress and accessories at the Diva Central Event on April 25. Donations are tax deductible and may be dropped off Monday through Saturday, 9 a.m. to 9 p.m.
RCC asks that donations are in good condition, no older than five years old (circa 2010), and dry cleaned before they are donated. If dry cleaning is not possible, please inform us at the time of drop off. 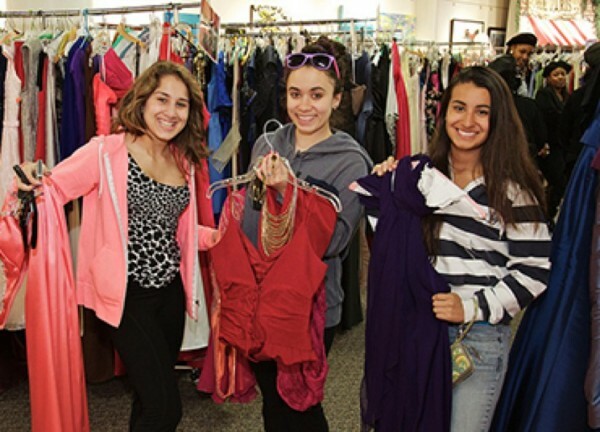 Dress donations will benefit students in Reston and surrounding areas. Snow may still be melting, but it is time to think about the prom. 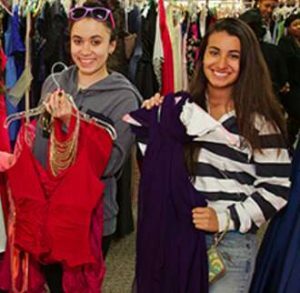 Reston Community Center will be holdings its annual Diva Central prom dress giveaway Saturday, March 8 at RCC-Lake Anne from noon to 6 p.m. This is the 12th year RCC has hosted Diva Central. The community center spends months collected gently used dresses, shoes, jewelry, shawls and accessories from residents. Area teens can choose their favorites — all for free. 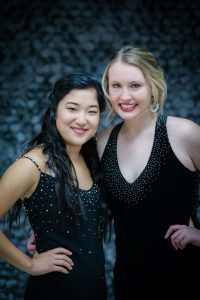 Since 2003, Diva Central’s mission has been to promote confidence and self-esteem by providing free prom dresses to area high school girls, RCC says.